After meeting Inger Ellen at the airport we caught a plane to Lithuania. It was a two-hour car ride from the airport, including coffee breaks. Our flight from Oslo was slightly delayed, so it was quite late when we arrived at Mazeikiai, the town where the children's home is located. It felt like we had arrived in a ghost town. There wasn't a building in sight; not even a street light. So it was quite scary. When we arrived at the Globos Namai Children's Home, we were greeted by a smiling "Director" (as they call her) Birute. She was very happy about our visit. It was late in the evening and all the children were in bed. We went inside and were given supper before going to bed. I was very concerned and nervous about what the next day would bring, but apprehensive and excited at the same time. So, it was difficult for me to fall to sleep. We were going to meet the children in the assembly room at 11 a.m. the next day. In the morning, Mrs. Nicolaisen came in and got me out of bed at once. My body was trembling as we walked towards the room in which all the children we were going to meet had assembled, but when we entered they just clapped and smiled from cheek to cheek! I sat down on a chair next to Inger Ellen. The children sang to us and it was awesome. I could see that they were happy that Inger Ellen had arrived. The foundation gave the children some money, so they could go to the market and buy whatever they wanted, BUT they had been told that Inger Ellen and I would check what they had bought later! The winters are cold in Lithuania, so they need shoes and warm jackets. We also went to the market and could not believe our eyes! A lot of poor people were selling their personal belongings to get a bit of money, presumably, to survive for the day. We didn't stay long at the market before going to a food store where we filled four shopping carts with candy and cakes for the children the next day. Afterwards we stopped off at a toy store where I bought toys for the children aged 0-5 years. Inger Ellen had also bought a few bags of groceries for Olivia, a 27-year-old girl, who had two children - a boy and a girl. We were going to visit them to give them the food. Olivia lived at the Globos Namai Children's Home as a child, but she has managed to create a "fair" life for herself. However, like most people in the town, she and her children live on the poverty line. Her apartment was in an extremely bad condition and the family of four lived very poorly. It was very hard to see. Olivia was overjoyed with the provisions, but the thing that made me shed a tear was the evident love that Olivia had for her two children despite living in poverty! When we returned to Globos, it was time to check what the children had bought. We went round each child and it was very touching to see how wisely the children had spent the money. Inger Ellen is doing an amazing thing for the children at Globos Namai, which is also reflected in the children. As soon as they see her, they run up and put their arms around her. I believe ten children stood with their arms around her at the same time. It was incredibly touching. We even took the children to an ice skating rink where everyone went skating, ate pizza and drank soda. You could see that all the children were eating well and having a great time. I sat at a table with all the 5-12 year-olds and struggled to hold back my tears. Just watching how much they appreciated a soda and small piece of pizza was amazing. It was like time had stood still. I just sat and watched how grateful they were. Since it had been a very looong day, we went to bed early that night. After a short conversation with my partner, I went to my room and broke down a little and cried. I thought about all the children that had been abandoned by their families, and how people like Inger Ellen exist. They care so deeply about other people, I thought. Why aren't we all like that? On the last day, I gave the toys I had bought to the youngest children. My goodness, how grateful they were! It was like Christmas Eve to them. I almost felt like taking them all home with me.  Even though it appeared that some of the children might have experienced something very distressing at a young age, they were extremely trusting and affectionate. I received many, many hugs. Later in the day, the children had a "leaving" show for us. We danced and played with them, and ate the candy and cakes we had bought the previous day. Inger Ellen and I sang the national anthem to them...haha, it felt like we got a standing ovation! Inger Ellen received gifts made by the children themselves. I was amazed at how well they had done! They ate candy and drank soda to their heart's content. When it was time to leave the children were upset - I don't think I have ever seen a bus so full of children wanting to say goodbye! It was very touching. As we drove to the airport my thoughts were with all the children at Globos Children's Home. I am eternally grateful for having experienced it all! In addition, to being proud of our warm-hearted foundation. I hope that everyone can give a small donation to this foundation each month, as I do. 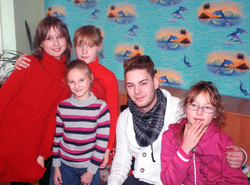 I have witnessed that each donated krone actually goes to the children's home and the children who live there.